Curious about what we do and who we are? Watch this brief video to get an overview of who we are today and what we do. We played this video at our annual Moonlight Meows fundraiser this year, so stay tuned for more updates from Moonlight Meows soon! 1Open Hours at the Chico Cat Coalition!Tired after a long weekend? Mark Your Calendars: October 27 is Moonlight Meows! ADOPTED!! Can You Help? 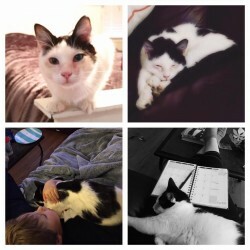 Philip Needs a Home!! Cats at Play! Come Socialize with Us! 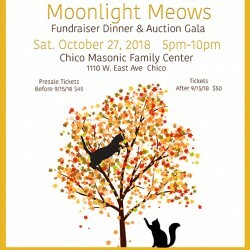 Welcome to the Chico Cat Coalition Website!